"You can follow dates and magical moments and record breaking events," said Rick Walls, executive director of the Reds Hall of Fame and Museum. "But to see it and put it all together in one large visual for a journey through Reds history in one space, I think it's unique for us to do it that way and people are really going to love it." 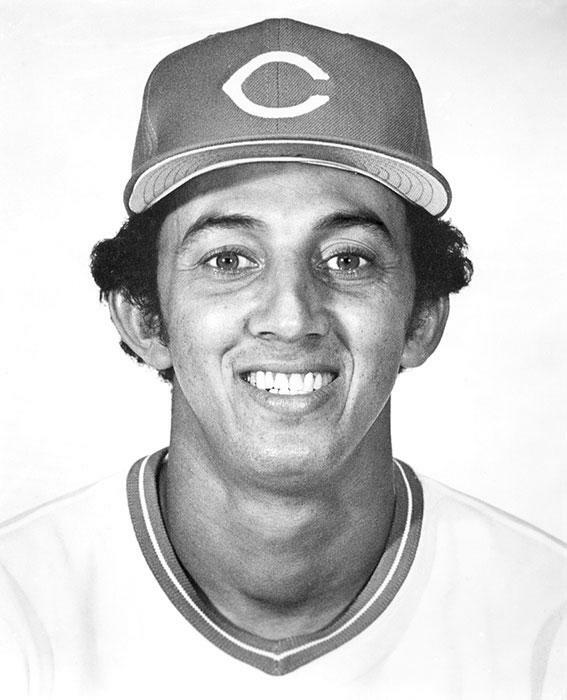 Considering the Reds rich baseball history, it wasn't hard to come up with enough material for the display. Walls noted the Reds have always been the "kings of innovation" going back to being the first professional baseball team. 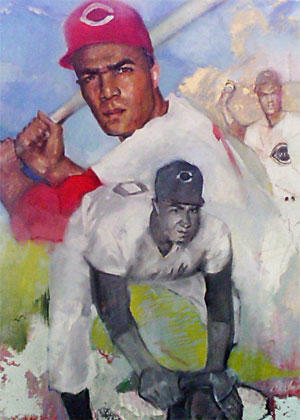 "You start with that and they always were at the forefront, whether it was the first night game at Crosley Field, the first team to travel to an away game by air, the first one to really take opening day and make it a holiday with the parade and everything," said Walls. There are also historic artifacts in the exhibit such as the final-out baseballs from the Reds first (1919) and most recent (1990) World Series championships. While that 1990 ball, caught by Todd Benzinger as the Reds swept the Oakland A's in four games, is a fan favorite, the 1919 ball has a fascinating, dark side to its history. "That's a ball that 'Shoeless' Joe Jackson hit," said Walls. "It's probably Shoeless's last contact with the ball and we've got it here on display." Jackson was one of the Chicago White Sox players banned for life from baseball for the Black Sox gambling scandal that happened during the 1919 World Series. 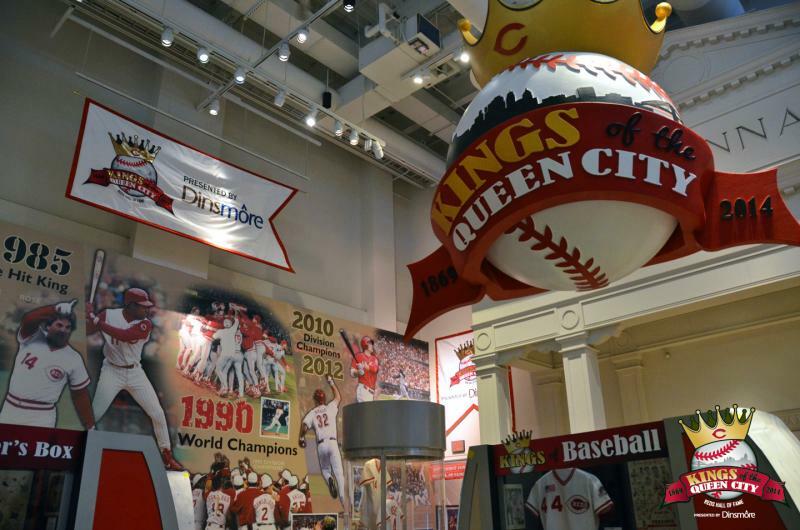 Both balls are among many items in the Kings of the Queen City exhibit, including the first public display of Chris Sabo's 1988 Rookie of the Year plaque, Joey Votto's 2010 National League Most Valuable Player Award plaque, and game used equipment from the 1930s to present day. Walls said the exhibit will run until about this time next year. With snow on the ground and temperatures well below freezing, it seems as if Opening Day is a long way off. 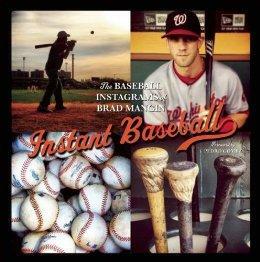 New technology meets America’s pastime in sports photographer Brad Mangin’s new book: Instant Baseball: The Baseball Instagrams of Brad Mangin. As he tells Mark Heyne, he spent the entire 2012 baseball season, from spring training through the World Series, photographing the game and the players with Instagram on his iPhone4s, not his usual Canon cameras.